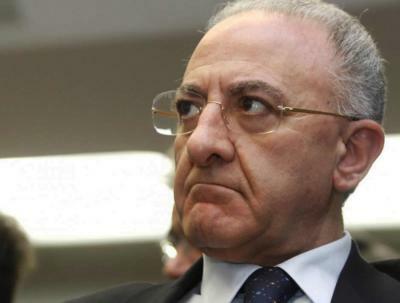 ROME – Vincenzo de Luca, the Democratic Party’s (PD) nomination for the post of Governor of Campania has been named as one of 17 unpresentable candidates ahead of Sunday’s vote. The anti-mafia commission chair Rosy Bindi, who described De Luca as unfit to stand in the election, made the announcement to ministers on Friday. De Luca’s name has appeared on the list due to a prior conviction under corruption charges. In January, he was convicted of abuse of office with regard to an incinerator project which he presided over as mayor of Salerno and received a suspended sentence of a year in prison along with a ban from public office for a period of 18 months. The Campania Regional Administrative Court later retracted this ban, which had been made possible due to the anti-corruption Severino law. Under the same law, should De Luca win on Sunday, he could be suspended from office. After a supreme court decision earlier this week, such a suspension would, hypothetically, be decided upon by an ordinary court rather than an administrative one.